More than 5000 German pharmacies run their operations using LAUER-FISCHER GmbH’s managed services and online services, ranging from drug information systems to inventory management systems. The company’s 450 employees – who work in the Fürth headquarters location and 16 branch offices throughout Germany – are focused on strengthening the competitiveness and productivity of their customers and in helping them comply with federal laws regulating drug dispensing and the apothecary trade. A subsidiary of ARZ Haan AG, LAUER-FISCHER GmbH provides pharmacies with state-of-the-art software solutions and hosted services, as well as industry expertise cultivated from serving the healthcare sector for more than 55 years. In addition to its hosting service offerings, the company provides other online services. Its online pharmacy management and control system, WINAPO® M·I·S, provides accurate purchase, stock and sales statistics and helps pharmacies project future earning potentials. Another service is a dynamic online inventory list – with information on prices, availabilities and active substances of more than 340,000 drugs and pharmaceuticals – made available through WINAPO LAUER-TAXE Online. The company also produces 4,000 CDs containing thousands of records that are distributed to pharmacies every 14 days – a schedule that needs to be met for regulatory compliance. 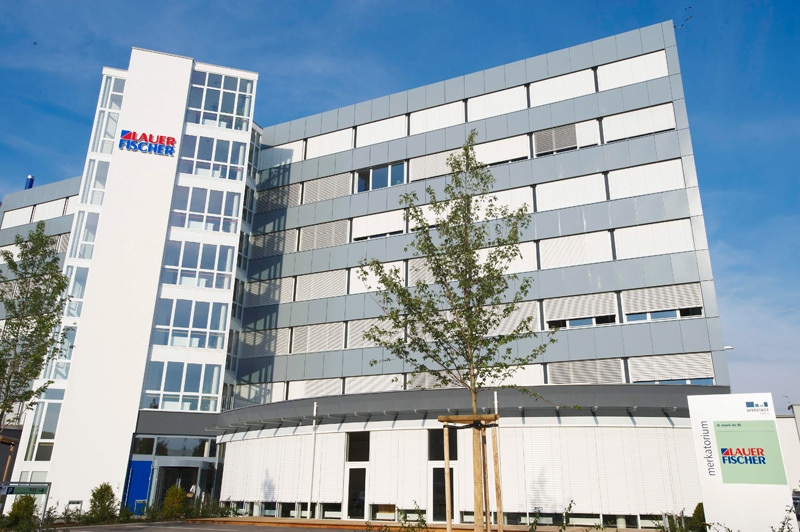 In addition to its own product and service portfolio, the LAUER- FISCHER GmbH development team supports industry initiatives, such as the electronic health insurance card and the electronic prescription, by providing computer-aided engineering services to these important healthcare projects. Supporting LAUER-FISCHER GmbH services, applications and portals requires a high-availability IT Infrastructure. Revenues and business operations of both LAUER-FISCHER GmbH and their customers are highly dependent on the availability of these systems. Problems with servers could adversely impact services by not having them fully available. Downtime also could jeopardize compliance with drug dispensing laws. More than 100 Windows®-based servers, as well as networking switches and routers, form the IT infrastructure at LAUER-FISCHER GmbH. An additional 30 servers are used for developing and testing the company’s new solutions. The IT infrastructure also supports LAUER-FISCHER GmbH’s own ERP (Enterprise Resource Planning) system and the business-critical, customer telephone hotline supporting pharmacists. LAUER-FISCHER GmbH’s rapid growth created a need for a new and larger facility to accommodate the growing amount of IT equipment supporting the business. As part of the move to the new facility, the company evaluated all its IT requirements, including its server management needs. Its existing KVM switch solution was reaching its limitations – it supported only four users and could not handle additional servers. LAUER-FISCHER GmbH decided to upgrade its server management solution. Remote Desktop software was eliminated as an option because the operating system on the target server has to be operational in order for remote access software to work. The solution that LAUER-FISCHER GmbH wanted had to provide access to all its servers in all situations – even if the network is down or the operating system is down – and provide access from within and from outside the server room. After a competitive review, LAUER-FISCHER GmbH selected Raritan’s award-winning Paragon II 1664 and 832 KVM models, and seven user stations. Ideal for IT teams that need secure access from a user station (monitor, keyboard and mouse) to multiple servers, Paragon II provides anytime, non-blocked access, high video resolution and a rich suite of management features. With the stackable, enterprise-class, analog KVM solution, multiple users can have secure, non-blocked access for controlling and managing servers. It provides consolidated views of all servers connected to Paragon and delivers BIOS-level control – even if the target server’s operating system is not responding. Paragon met the scalability requirements that LAUER-FISCHER GmbH wanted. Designed for growing companies, Paragon’s flexible and scalable modular architecture supports the almost unlimited cascading and stacking of Paragon II switches, so that thousands of servers can be managed from one user station. Security was also a key purchase criterion. Paragon provides security tokens, AES encryption, logging and audit trails as well as a self-contained KVM network. It also enables “Lights-Out” operations, whereby server access no longer requires a physical presence in the data center room. Paragon’s video resolution (1920 x 1440) display – considered to be the best video quality of any KVM platform, according to independent test labs – is important in IT environments requiring hours of intense screen viewing. LAUER-FISCHER GmbH deploys two user stations in the data center and two consoles in the administrative department. Servers up to 300 meters from the user station can be accessed easily. To accommodate distances beyond 300 meters from servers, the company purchased the Paragon IP user station for the development department, whose members are located on three floors. Another IP user station was purchased for emergency, after- hours remote access from a home office. The IP capability of the Paragon analog system delivers anywhere, anytime remote access via a secure encrypted channel. In order to minimize downtime, which was particularly critical to its online customers, LAUER-FISCHER GmbH planned to move all of its data center IT equipment to the new facility in two nights. A dedicated IT infrastructure was installed to facilitate the move – a key component was based on the new KVM solution from Raritan. The Paragon switch enabled the team to meet its tight cutover deadline since IT administrators were able to sit at a user station and configure and manage the newly added server, eliminating the need to walk from rack to rack. “Our daily operations have improved because multiple Paragon terminals can be used simultaneously. Our mean time to repair (MTTR) has improved too. Raritan meets our current needs and equips us to meet our future projects,” said Mr. Veitel.